The Supreme Court on Tuesday accepted the unconditional written apology submitted by PML-N loyalist Nehal Hashmi in a contempt case against his fresh anti-judiciary outburst. The court withdrew the contempt of court notice issued to the former senator over his speech targeting the judiciary, made after his release from Adiala Jail following a one-month prison sentence for contempt of court. "I solemnly assure and undertake that I will not give any cause of complaint of any sort in future to the honourable courts in respect of my conduct," Hashmi said in his written apology. The former senator had earlier in the day attempted to verbally apologise for his remarks once again before the court, but Chief Justice (CJP) Mian Saqib Nisar asked him to submit a written apology instead. "I am ashamed of my behaviour," Hashmi had said before the court, requesting the bench to exercise forgiveness. 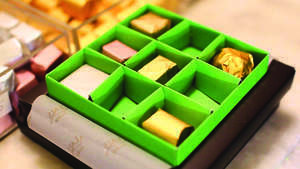 "In the future, I will try to be careful even in the privacy of my home. I will make an effort to not utter words that offend others even inside my car." In yesterday’s hearing, the court had directed the presidents of the Supreme Court Bar Association (SCBA) and Pakistan Bar Council (PBC) to appear before it today and give their opinions on whether Hashmi's licence should be revoked over his anti-judiciary statements or not. SCBA President Kalim Khursheed told the court he had "no words that could explain the situation". He assured the SC he would keep fighting for the court's survival. Although Khursheed contended that what had happened was wrong, he urged the court to forgive Hashmi, citing the example of Hazrat Ali (RA) who had forgiven his enemy after defeating him in war. "No normal person could have issued such a statement. Only a confused or crazy person could have said the things that Hashmi said," PBC Vice-Chairman Advocate Ahsan Bhoon said, adding that he believes the SC should forgive the former senator. Rasheed A. Rizvi advocated for Hashmi as well, stating that “the law will take its course". He added that he had requested the court yesterday to forgive Hashmi. Sindh High Court Bar Assocation President Qalb Hussain, who was also present in court yesterday, also asked the SC to forgive Hashmi, although he believed that his actions were indefensible. The CJP then asked Hashmi to submit a written apology to the court, after which further action would be taken. He added that the court "did not want Hashmi’s descendants to be punished for his actions". The court then adjourned the hearing for a short break before accepting Hashmi's apology. Hashmi was facing contempt charges for the second time. He was earlier sent to Rawalpindi’s Adiala jail on similar charges on Feb 1 — eight months after his May 28, 2017, outburst in which he appeared to have threatened members of the SC-appointed joint investigation team and the judiciary for probing allegations against ousted prime minister Nawaz Sharif and his family members stemming from the Panama Papers leaks. 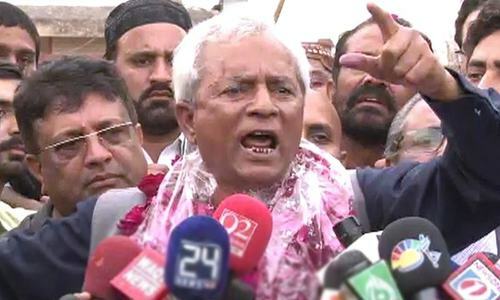 The court had sentenced Hashmi to one month in prison with Rs50,000 fine. Let send every one, who opens mouth against any judge, to jail for life. a repeat offender, a lawyer, gets off by writing an apology now. forget it, too lenient. He deserves punishment. Punishment is justice for the unjust. It's punishment to be compelled to do what one doesn't wish. He should not be forgiven. There is no doubt about one thing. The PML-N is the most arrogant political party in Pakistan. This man and a few others enjoy throwing their weight around. They want to make themselves fell big. He deserves 5 years in jail. Why the silly song and dance? Just arrest the man for contempt of court or insulting the judiciary. Instead of wasting time and count's resources on back and forth! If he does not appologize, than what will the court do? Seems someone is not thinking according to the law. Very strange justice, a repeated offender is being forgiven. Dr Shahid masood, with no contempt of court, acting with good intention made a mistake of exagerating his claim, offered his appology yet the SC barred him for three months. 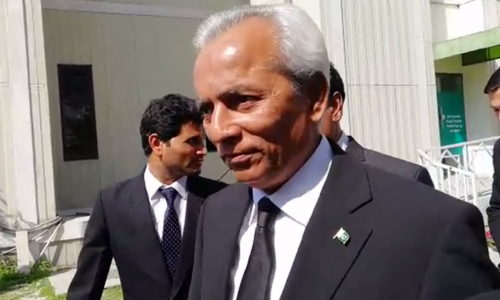 Nehal Hashmi a lawyer & he should know better than anybody else to respect judiciary.It is indeed a magnanimous act on the part of judiciary to accept senior lawyers recommendation and forgive him. We hope he has now learned the lesson keep his mouth shut. Yet to be seen how genuine, honest and sincere he himself proves to his apology he wrote hinmself wrote in front of so many witnesses in the highest court of the land. He will be back with more venom. Should have been punished so no one else will repeat this in the future. his apology should have been accepted in the first contempt case. he has already been barred from holding a public office for 5 years, lost his senate seat, went to the jail, paid fine while some with graver comments have not even been questioned. A very unfortunate and a sad decision. Well, let us hope he has learned his lesson. in all probability, he will offend again. he should have been.put on probation for 3-5 years. The Honorable CJP has very kindly accepted his written apology on the recommendation of Bars. Whereas he has an attitude of indecency and threat. Highly commendable verdict of court.I salute Chief Justice Sahib.